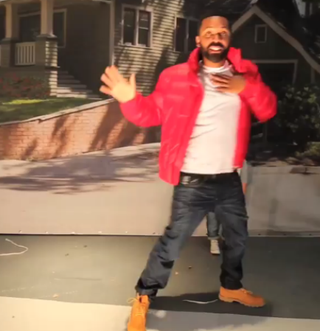 Comedian Mike Epps re-created Drake's "Hotline Bling" video and posted the snippet on his Instagram page. Epps did it for the OGs, the grown folk, and said that he's playing Drake's uncle in his takeoff. "You used to call me on my flip phone," Epps wrote in the video's caption, referencing the smartphone's ancient predecessor. Check out the short spoof below. Epps is wearing a red coat and Timbs, just as Drake did in the original video. The "Hotline Bling" video inspired a lot of musicial memes, but this recreation takes the cake.